TOOL wrote: There's way more tricks. What else do you want to know? 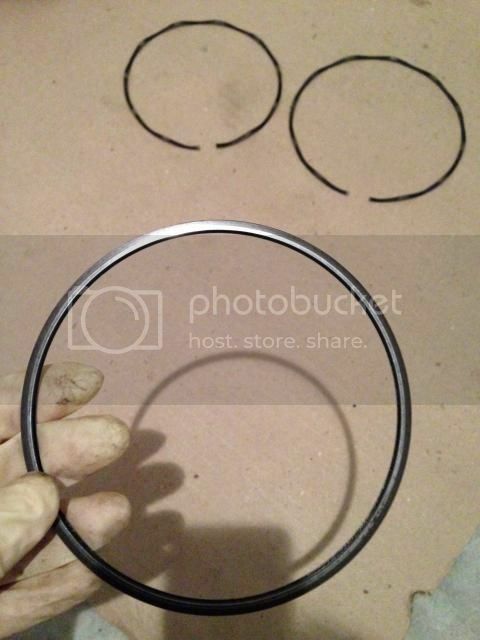 Not the rubber orings, the metal oil control rings. I've only ever pulled one motor down and found that the oil control rings were in spec. They always look good, but when you measure them, they're out of spec. the limit on these is 0.5mm. 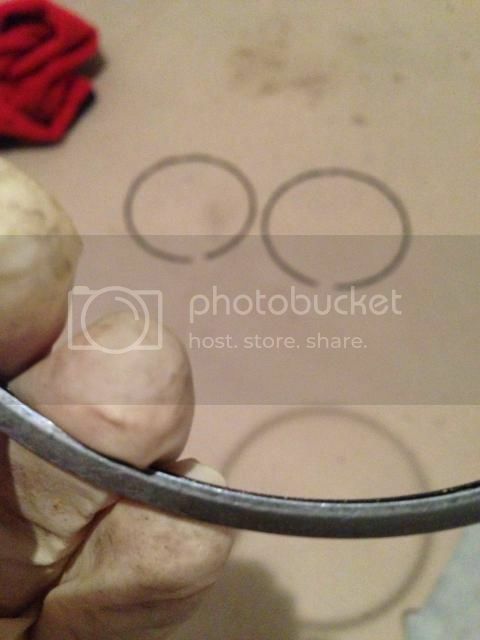 You see the siny bit, where the ring has been running against the side plate? That's the bit you need to measure. If they're out of spec, you're likely to have a smokey motor. They're not cheap either. Make sure you put the oil control ring springs in the right way round too. They're directional. If you don't get it right, you'll chew up you oil control rings and you'll have a smokey motor. TOOL wrote: How about these beauties? That is what I am talking about! 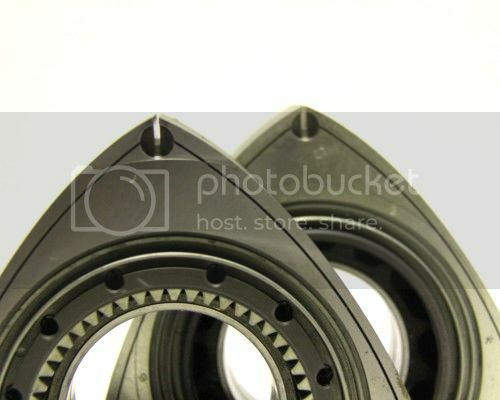 Wouldn't it make more sense to taper off the top of the port for street applications, which should help reduce wear on the apex seal and increase engine life by allowing the seal to transition into the groove? When I look at that port, at high RPM the seals are being "thrown" out the rotor so sudden end would chip the seal over time. Here is a stock 12A port. It's not rounded or D shaped on the trailing edge (the upper edge). It's important to keep the chamfer on the port edge though. The edge of the port determines the port timing. Typically, for a turbo port, you open the ports down more, getting the port timing to open earlier and getting the turbo spooling sooner. 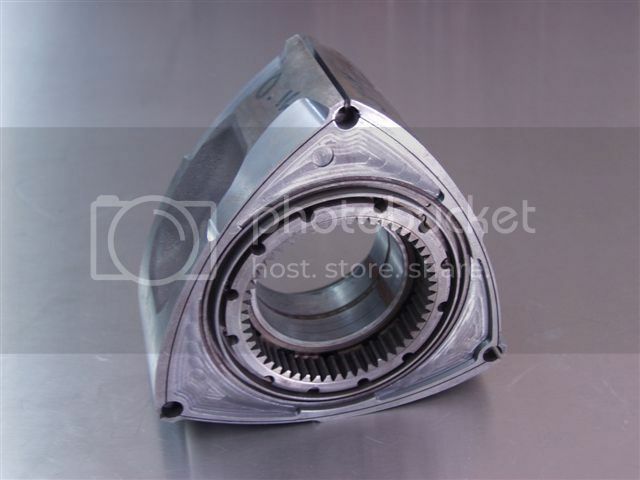 For an NA motor, you open the ports up more, making the power stroke a little longer and maintaining some torque. When you look at my ports, you can see that they keep the same general shape, but you can make them more D shaped if you want. Mine could probably do with a more exaggerated chamfer just to be on the safe side. And I quote Bumpstart here: "the oval square port is chosen over other shapes due to it minimising overlap timing yet maximising surface area"
I have also left the exhaust inserts in place. They help to prevent heat soak into the housings. 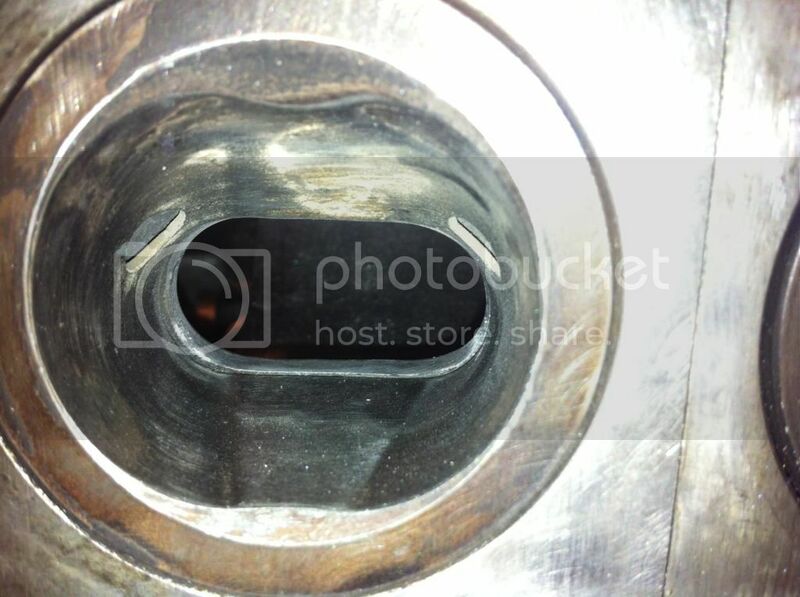 Opening the exhaust ports any further will not help flow because of the inserts. I have matched the ports to the inserts. Note the carbon apex seal. 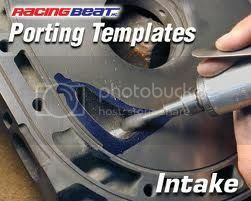 Take your porting template. 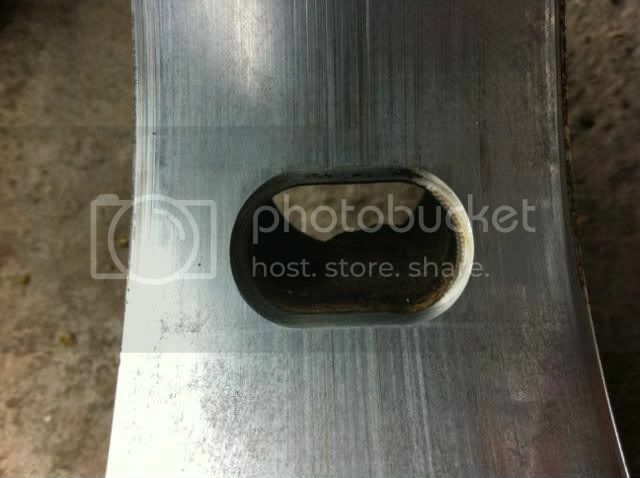 Put your dowels through the housing. Put a straight edge (ruler) up against the dowels and then scribe a line on the side of the housing (gently). Now line your porting template up to that. That is how you align them. Easy to use, not excessive and known to work. The edge he's using the die grinder on is the port closing edge. By extending this edge up, you extend the port open duration. 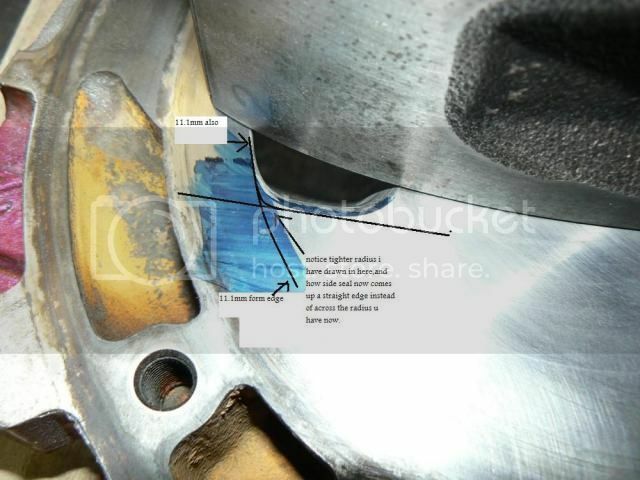 The edge closest to the eccentric shaft is where the oil control rings run. You DO NOT touch this edge or you'll get a smokey motor. The edge closest to the water seal is the port opening edge. By extending this edge twards the water seal, you can make the port open earlier. How far do you open it? As far as you want, but you need to make sure the corner seals are captive and that you won'e run into issues with the side seal leading edge. 11.0mm from the water seal seems to be the accepted distance you can port to. 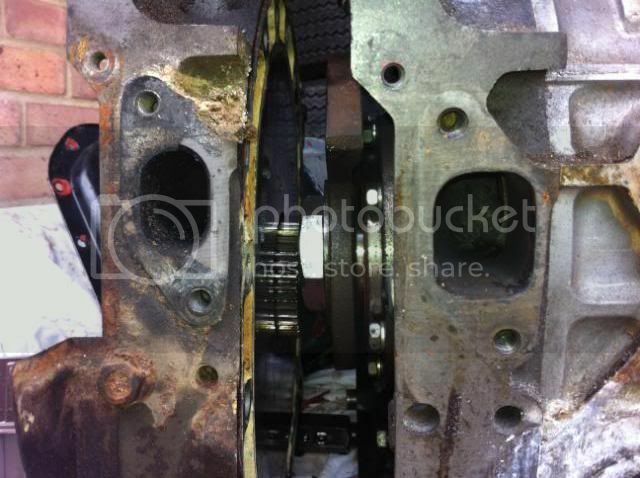 Obviously for a bridgeport motor, you can then cut the bridge closer to the water seal again. This will open the port even earlier. Stock 12A on the left. BP 12A style plate opened up on the right. Much lower airflow speed at idle with these big ports though. 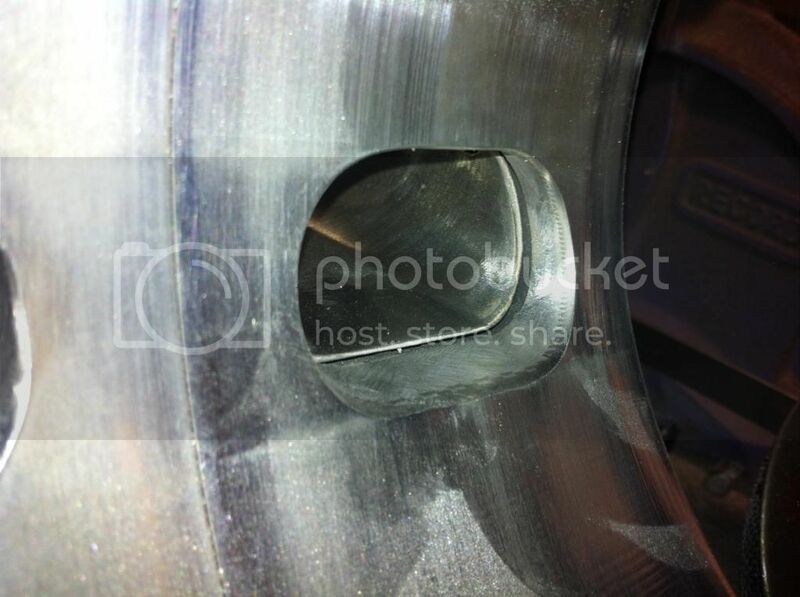 You can see the material that has been removed from the SIDE of the rotor. 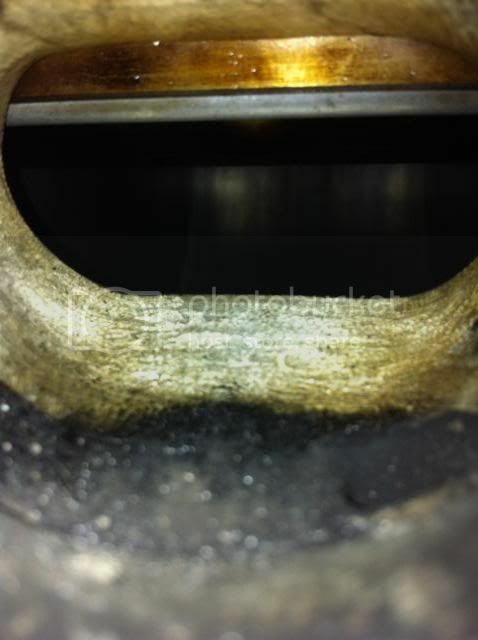 Note the scalloped edge of the combustion face. 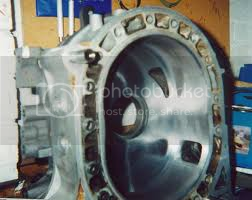 This can be used to increase the port timing by removing material from the side of the rotor, thereby making it open the port earlier, without having to increase the size of the port. Note Mazda included this as standard in the RX8. 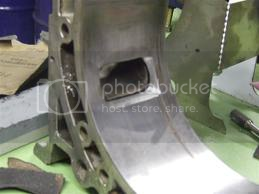 As the fartest part of the rotor from the eccentric shaft, this is the most likely part of the rotor to contact the side plate at high rpm or boost. The more meat you take off the rotor, the more necessary balancing will become. Balancing costs about £400 if you can find someone who can do it. 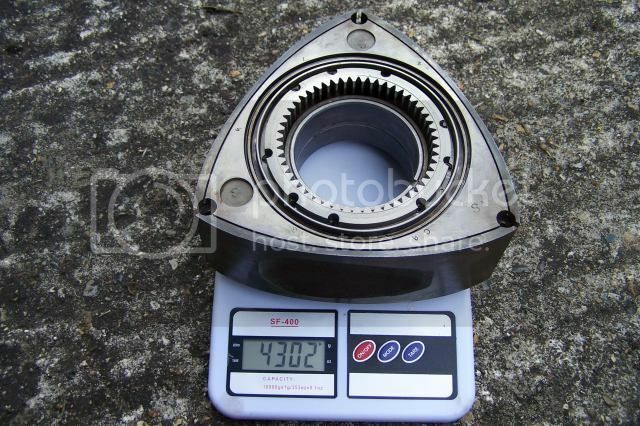 Mazda keepes it fairly loose at +/- 50g per rotor difference between rotors. 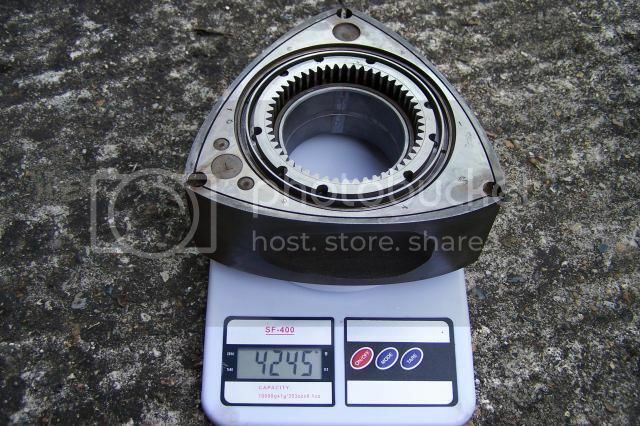 C weight should go with C weight, but Mazda says you can go one weight different, so B and C weight can go together. 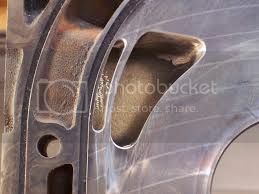 You want your rotors as closely matched as possible to reduce vibration in the engine. For a street motor, this should be fine. For a race motor, running at high rpm most of the time, you need to balance your assembly as the imbalance will take it's toll.